3GX MRS's was designed with goals of simple, convenient, light, and ease of adjustment. 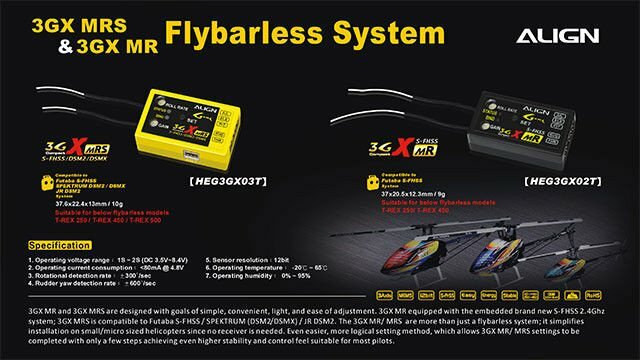 With the embedded brand new Futaba S-FHSS 2.4Ghz system/JR DSM2 and Spektrum DSM2/DSMX ,the 3GX MRS is more than just a flybarless system; it simplifies installation on small/micro sized helicopters since no receiver is needed. Its set up is extremely intuitive simplicity, just needs a few steps can easily complete the 3GX MRS adjustment. Optimized for T-Rex 250,T-Rex 450 and T-Rex 500 flybarless helicopters, with factory default setting, steady flying performance suitable for majority of pilots handling feel. 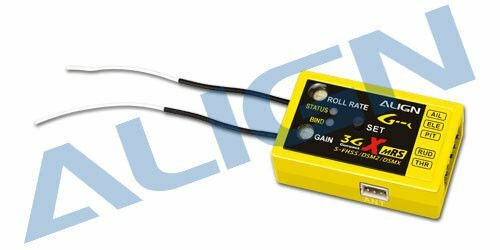 In simple terms, the 3GX MRS provides pilots a more economical and reliable option. 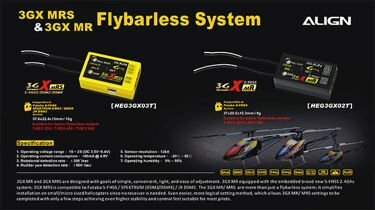 2.Built in Futaba S-FHSS 2.4Ghz receiver, directly compatible with Align T6 and Futaba S-FHSS transmitters. 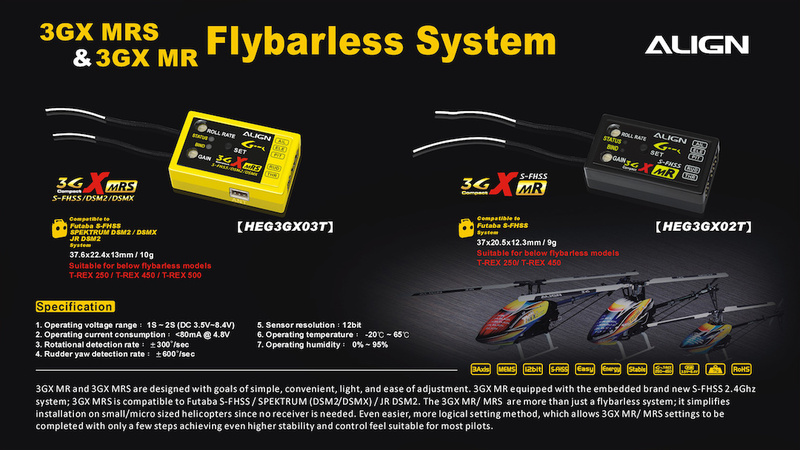 3.Flybarless system designed specifically for T-Rex 250, T-Rex 450 and T-Rex 500, with small footprint, simplified setting process. 4.Optimized for T-Rex 250 , T-Rex 450 and T-Rex 500helicopters; with factory default setting suitable for majority of pilots.